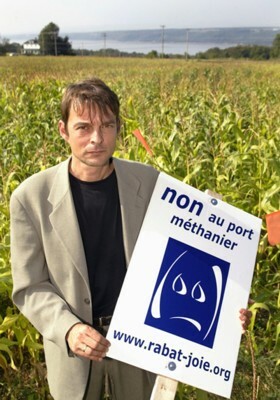 Recently, the Quebec City Port Authority requested an injunction against the opponents of the Rabaska gas terminal project (for liquefied natural gas or LNG). Basically, the Port wants the judge to give it the authority to censor any letter that the opponents would want to send. If I had been an old grouchy judge, nearing my retirement (and therefore unafraid of disciplinary sanctions), here is what I would have told both parties in the proceedings. 2) "Dear Quebec City Port: Don't let September 11th wipe out the memory of November 11th!" Dear Quebec City Port. Yes, these days, when we think about the 11th day of the month, we think about the terrorist attacks of September 11, 2001. But let's not forget the other 11th, that of the Armistice. Each year we remember the sacrifices of our soldiers who died on the battlefield. Soldiers who shed their blood to defend our freedom. You're asking me to eliminate the freedom of speech of citizens. Jeepers, use your head a bit... I'm not going to tell these people: "The Canadian judicial system doesn't exist anymore. Your freedom of speech is now in the hands of your worst enemies". Even if, for good reasons, we were to restrict the freedom of speech of anyone, it's the judicial system that would manage these restrictions, not the Quebec City Port Authority! 3) "Dear opponents to Rabaska: Don't forget slander is more explosive than a tanker ship filled with natural gas!" Dear opponents to Rabaska. I haven't read the letter you sent to the clients of the Quebec City Port. But I can tell you that freedom of expression is not an absolute right. For example, if someone decided to send a letter to your boss, telling him falsely that you stole office supplies, would you like that? And speaking of wars, don't forget that one of the most frequent causes of wars is slander. With enough lies, anybody can be encouraged to go to war against anybody else. 4) "Dear people who disagree with each other: Here is your punishment!" I hereby condemn all parties in the proceedings, both those in favor of Rabaska (www.rabaska.net) and those who are against (www.rabat-joie.org), to the following punishment. - below that common part, two columns: one for the opponents to Rabaska, and the other for those who are in favor. You'll fill out that sheet. When you'll be finished, I'll read it. If I find a statement in the "For" part which can also be found in the "Against" column (or vice-versa), you'll all go back to jail! In other words, if a statement on which you both agree is elsewhere than in the "common" part on top, you won't have served your sentence yet. When you'll leave jail, you'll be welcome to say just about anything you want to anybody, for or against Rabaska. But make sure you also give them that document you'll have written in common, otherwise, back to jail you go! Please note I'm not forcing you to abandon your convictions! I'm not saying you'll get out of jail when you'll all have become either for or against Rabaska, but when you'll have made the effort of listening to each other, and putting that in writing, in order to inform all citizens. 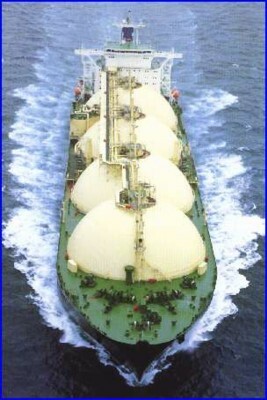 - Liquefied natural gas (LNG) is a relatively clean source of energy, as far as fossil fuels are concerned. - In some conditions, LNG is an explosive. because opponents don't want them. A democracy cannot exist without freedom of expression. But freedom of expression isn't enough. We also need the freedom of informing ourselves. If citizens, to get informed, must pay an excessive cost (in time or intellectual effort), the majority of them will remain in ignorance or error. Parents, Government, journalists, and schools must better educate citizens. We all have the right and the duty to demand high-quality public debates, appropriately summarized, on all important issues. Our democracy will die, if citizens just drink liquefied natural disinformation.